In my discussion of catching rainwater, last time, I neglected to mention that in some places it’s possible to draw water from a well, especially if your land is near to places where Hawaii County draws its water. But finding a reliable and sufficient source of water underground is not easy, and on the drier, western side of the island, wells have to be drilled very, very deep. So, you may get lucky. Or not. And the cost of drilling could exceed the cost of a catchment tank. Besides, a well needs a pump – and that means you need electricity. There are four ways that people here generate their own electricity: fuel, wind, hydro, and solar. I’ll cover the first three now, and discuss solar next time. Hydro. If you have a good-size stream on your land, a hydroelectric turbine may be the way to go. The machinery is not very expensive, and you do not need a waterfall, as long as the water level drops at least 40 feet from the intake point down (through a pipe) to the turbine. But the stream has to run year-round, and in a drought lasting several weeks, even some large streams may shrink or dry up. Ironically, the only serious disadvantage to hydro is that under normal conditions you may get too much power from it! Unlike breezes or sunshine, streams run 24/7. After your batteries have been fully charged, any excess electricity can damage your system: it must either be stored (in yet more batteries) or consumed immediately. One fellow I know had to buy a chest-freezer and an air conditioner solely to soak up all the electricity from the turbine in his stream. A stream this big could genereate electricity, but only if the water level drops 40 feet or more from the intake point down to the turbine. Wind. A small windmill may generate enough power for a barn (or a well-pump) but a windmill sufficient to power a household must be quite large, and hence expensive. On this island, that’s a viable option only if your land is really windy, which you’ll know because your trees are bent over, as they are near HELCO’s “wind farms” — clusters of turbines – -at the northern (Kohala) and southern (Ka’u) capes. On the Hamakua Coast, the onshore tradewinds are not constant; and on the Kona coast, daytime breezes tend to die down at sunset. On May 29th, NAR announced FHA-approved lenders received the go-ahead to develop bridge-loan products that enable first-time buyers to use the benefits of the federal tax credit upfront, according to eagerly awaited guidance from the U.S. Department of Housing and Urban Development on so-called home buyer tax credit loans. According to senior HUD officials, the loans can’t be used to cover the minimum 3.5 percent. The first-time homebuyer tax credit was enacted last year – and improved upon earlier this year – to help encourage households to enter the housing market while interest rates are low and affordability is high. The credit is worth up to $8,000 and is available to households that haven’t owned a home in at least three years. The credit does not have to be repaid, and is fully reimbursable, so households can get their credit returned to them in the form of a payment. Learn more about the credit, including how to apply for it this year even if you’ve already filed your taxes, at www.REALTOR.org. 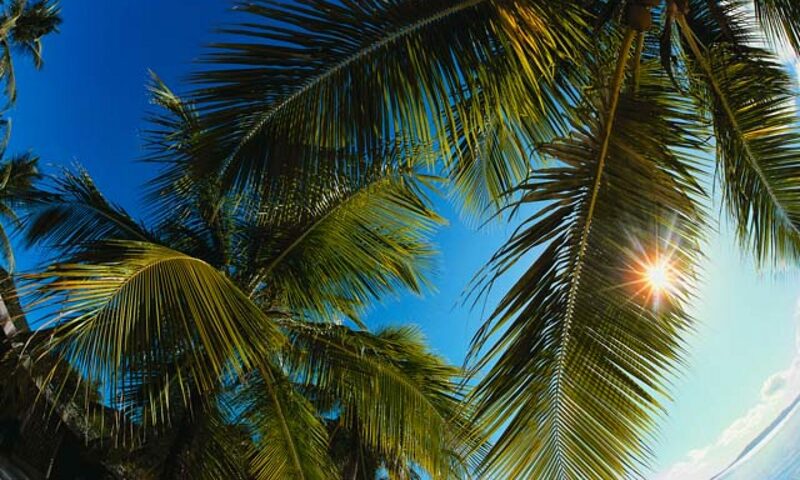 As always, we’re available to answer your questions, or assist you in finding your perfect Big Island “first home” … just contact us. If you know anyone who qualifies as a first time home buyer, they may be eligible for a large tax credit in 2009. The new stimulus bill, the American Recovery and Reinvestment Act, signed by President Barack Obama on February 17, 2009, updates the previous First Time Home Buyer Credit of 2008. The income restrictions are based on the Adjusted Gross Income (AGI) on your tax return. The 2009 First-Time Homebuyer Tax Credit is claimed on IRS Form 5405 and filed with your 2009 federal tax return. Tax forms can be found at www.irs.gov. **UPDATE** As of May 29th, first time home buyers can use the credit toward closing costs and more. Read all about it here. 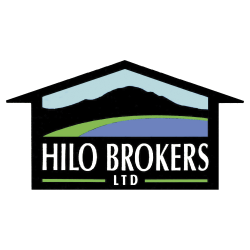 Webcams have been added to the Hilo Brokers website! To view them, hover over RESOURCES and pick “Big Island Webcams” for the choices. Images displayed represent last feed shot at time of website hit. Different webcams update at different times … most update by the minute and include time stamps. To refresh the image, reload the page. Click the image to view a larger size of the webcam shot. Click the link below the image to visit the associated website. Moving to Hawaii from anywhere else is obviously something that must be done with a great deal of planning and strategy. It is not the same as moving across town or even to another mainland state. The logistics involved are huge. To make your move easier, using a professional moving company is the best way to make your move, but it is also the most costly. There are a variety of ways to save money. One is bringing as little as possible to Hawaii. That is not always practical, sometimes you just want your art and furniture or your favorite sports equipment to come along with you. I have met some people who sold all but the most precious things they owned and moved to Hawaii by using the United States Post Office as their mover. This is obviously the least expensive option, but don’t forget that when you get here, you will have to furnish your new home, have clothes to wear and cooking tools, electronics and appliances. Those things are available in Hawaii, but not always with the same variety and pricing as on the mainland. If you do decide to ship things, using the USPS is the best option. If you can fit things into a large flat rate Priority shipping box, the goods will arrive from the mainland in a week or less. If you have to go with Parcel Post or Media Mail (great way to move your books and CD’s) they could take as long as 4-6 weeks to arrive. The post office supplies free Priority Mail boxes and you can print postage labels from your home computer. If you won’t be at your home to accept shipments, you can send them c/o general delivery to your local post office and pick them up when you arrive. If you choose the “do it yourself” method of moving, you need to contact one of the shipping companies that provide containers. Matson is probably the largest container shipper with reliable rates and frequent ships coming in and out of all ports in Hawaii. Another large carrier is Young Brothers. Both of those companies ship cars but we will talk about that in a separate post. If you are considering a moving company, there are some that specialize in Hawaii moves and one of the most used companies for moves to Hawaii is West Point Relocation. Aside from them, most full service moving companies can and do ship overseas. For instance, if you have a typical 3 bedroom mainland home, you can expect a price of between $20,000 and $30,000 to have a full service door to door move from a West Coast Port. This would include packing and crating services, loading the containers, shipping the containers and then unloading, assembly of furniture and some unpacking and uncrating. You can also ask for a discounted bid if you are doing your own packing, but keep in mind that the professionals use higher grade boxes and ones that are made to stack 14 feet high to fit into containers. Get at least three bids and be sure you are comparing “apples to apples”. Occasionally there are logistical impasses that may require your goods to be shuttled from your home or to your new home. Check with the moving company and be sure to tell them anything that will effect the move such as extra flights of stairs, narrow door ways, winding, dirt or bad roads and driveways where a container may not be parked close to the house. If you do this you will not have a surprise bill. When choosing a moving company, be sure you are using one that is well established and that you can check references. Because of the economy, some moving companies are closing their doors and the less reputable ones are using day laborers and cutting corners. You want to be sure that the crew that works with you are employees of the company and that they are bonded. How long will it take for your goods to arrive? Typically from the day they are loaded at the port, they could take between 2 weeks to 6 weeks to be delivered with the average at about 3 weeks. You may want to pre-ship some household goods to your new home so that you will have some of the necessities you need to live while waiting for your goods. If you are not having a full service move, you should be able to have your container in your driveway for as long as 5 days for unloading. Remember, this container is about 5’ off of the ground & does not have a lift, so you will need to rent or make ramps. There obviously has to be some criteria for thinning out your possessions unless you have a large budget. Basically, if it is electronic and older than 5 years, it is probably better to replace it here. Some furniture does not do well here, leather and anything with metal on it is going to have some issues in the Hawaiian climate if you do not have central A/C going most of the time. The same goes for your leather shoes, “stainless steel” items that are not of the highest grade and books. Some art work may need to be re-framed to humidity controlled framing. If you contact me, I would be glad to put you in touch with some customers who made the move here. Also, there are Big Island online forums like Kona Web, Puna Web and Puna Online where you can ask questions about movers and other related issues to people who have faced the gauntlet as you soon will. Remember, Hilo Brokers will also be here to assist you in making your move easier.